One of the most important questions about renting your boat out is, who is the renter? Can this person safely operate my watercraft? You have put a lot of time, money, and emotion into your boat, and you want to make sure the person renting it will treat it as his or her own. You want to know that when the renter is out on the water while you are back on land, everything is under control. The tips below help to ensure that the potential guest is a good fit for your boat. One of the simplest ways to screen a potential renter is by checking their GetMyBoat profile. On their profile, you can see a photo of the renter, a brief description, what languages the renter speaks, and any reviews left by previous rental experiences or owners. If they have a Boat U.S. certification, they are able to link it to their profile. Renters can also connect their social media accounts, such as Facebook, Twitter, and LinkedIn, to their GetMyBoat profile. They can even verify their phone number and email address to ensure that you have a method of contacting them. References can be anything from the school they received their certification from or a licensed captain they went on a weeklong charter with. You will want to verify that the renter has experience not only with your type and size of boat, but also has local knowledge of the waterways in your area. Someone who has been sailing for years in the Virgin Islands may not have the ability to sail that same boat in the San Francisco Bay. Ask your potential guest about the planned trip. An afternoon putz on a pontoon around a small lake is much different than a weeklong voyage through the Aegean Sea. Ask for a specific itinerary from your guest; the basic details should tell you where your guest intends to travel to, the number of people who will be onboard, the duration, and the purpose of the trip. The more details the guest can give you, the better idea you have of what the trip will entail, and what expertise is best suited for it. On the appointed date, meet your renter on the dock to not only hand off the key but to show the renter the eccentricities of your boat. Walk the guest through any rules specific to your boat, such as no red wine, only light-colored soles on shoes, and anything else you want the person to know. You can even have the guest perform a ten- or fifteen-minute operation test while you are available for any questions or feedback. 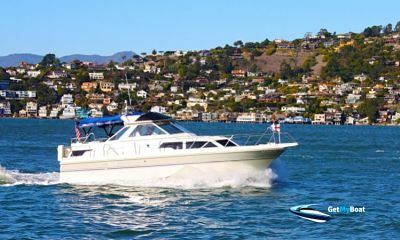 If, for whatever reason, you are not comfortable renting your boat, another option is to charter it. This will let you take care of the driving and the docking, while your guests can just relax and enjoy the water. Captaining is a great way to make new boating buddies, too. 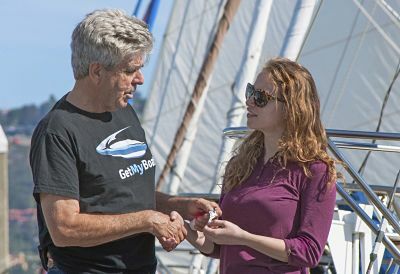 As always on GetMyBoat, it is entirely up to you to decide who can rent your boat. Going through a multi-tiered process with each potential renter is a terrific way for you and the guest to feel comfortable with the rental or charter and provide a fantastic experience for everyone.